The significant expansion of development of open-cycle OTEC systems began in 1984 with the development of a vertical-spout evaporator. Created by the Solar Energy Research Institute, known today as the National Renewable Energy Laboratory, the evaporator transforms warm ocean water into low-pressure steam. Tests yielded efficiencies up to 97% for the conversion process. 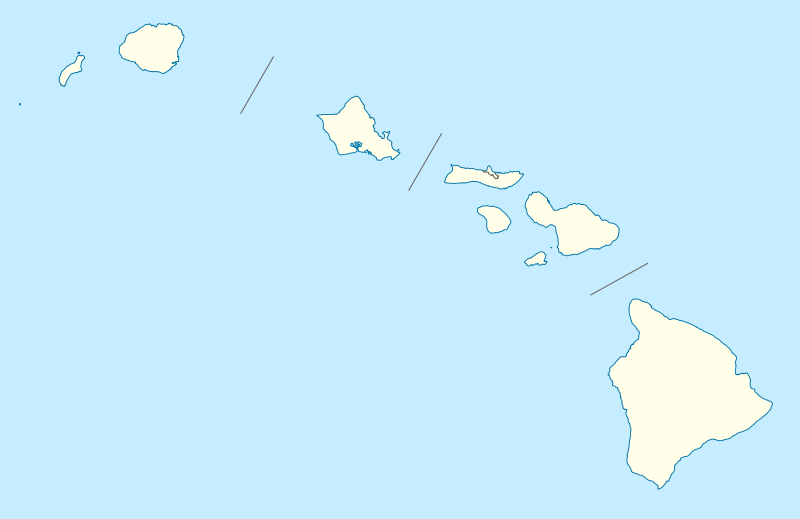 While overall efficiency in systems with the evaporator remained low, by 1993 a Keahole Point, Hawaii open-cycle OTEC plan t generated 50,000 watts of electricity, breaking the prior record of 40 kW set in Japan in 1982. Open-cycle OTEC systems utilize surface water warmed by the sun to generate electricity directly. When placed in a low-pressure container, the heated saltwater will begin to boil. Steam is then released from the water and can be utilized in two ways. Most commonly, the steam is harvested into a turbine connected to an electrical generator. The saline components of the seawater remain in the low-pressure container, leaving steam that can be condensed into fresh water. When exposed to cold deep-ocean water, the steam changes into liquid form, becoming potable. The fresh water can then be used locally for drinking or be processed and shipped elsewhere. The cold water brought to the surface is also nutrient-rich and thus becomes attractive for use in marine aqua culture as well as on-shore agriculture (Girgis and Siegel, 1983). Alternatively, the steam released from the low-pressure container becomes a part of a gas lift technique involving the lifting of water to various heights. The result is hydroelectric power, either before or after the gas goes through the steam lift pump (“NREL”). Open-cycle systems must be sealed carefully to prevent in-leakage of atmospheric air because atmospheric air can greatly degrade or stop the operation of open system operation. The specific volume of low-pressure steam used in operation is much larger than that of the working fluid in closed cycle OTEC. Because of this large required volume, components of open cycle devices require large flow areas. A large area for steam flow ensures that steam velocities remain within workable bounds and do not reach excessively high speeds. Gases including oxygen, nitrogen, and carbon dioxide dissolved in seawater are released from the solution in a vacuum. These gases do not condense and therefore must be removed from the system. 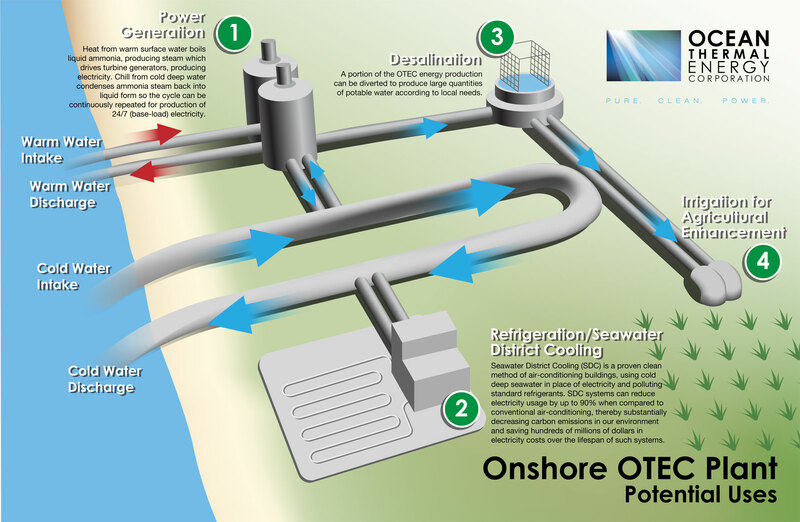 Open-cycle OTEC systems have many benefits, such as the production of potable water. Click the image to expand. Open-cycle OTEC systems, like all OTEC systems, would be most effective in countries along the equator. These countries have the necessary access to ocean water and also see warm surface waters, a necessary requirement for OTEC systems to operate. Great article. I was actually checking out consistently this blog site as well as I feel! Extremely valuable info primarily the last part I care for such information a whole lot. I was pursuing this specific details for a number of years. Thanks and also good luck. I feel, I should mention. Actually seldom accomplish I found out a blog site thats each useful and also interesting, and also let me advise you, youve reached the nail on the head. Your article is actually outstanding; the concern is something that not many people are actually talking smartly about. I am actually delighted that I stumbled across this in my hunt for a little something linking with this. que l’on peux y découvrir.